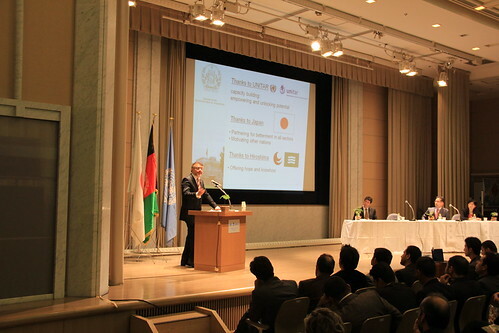 November 13, 2013: Ambassador Dr. Sayed M. Amin Fatimie took part in the 77th Public Session of the United Nations Institute of Training and Research (UNITAR) at the Hiroshima Peace Memorial Museum. 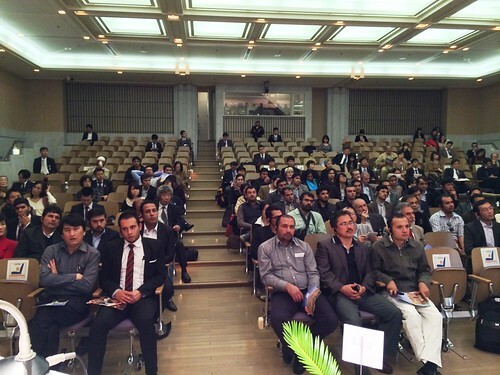 The event’s theme was “Post-2014 Afghanistan and the Role of Japan.” The event was attended by members of the local community and international persons in Hiroshima as well as the current participants of UNITAR’s Fellowship Program for Afghanistan. Ambassador Fatimie expressed that this was one of the most well-organized and inspiring events that he has had the honor of participating in. Special thanks go out to all in UNITAR and Hiroshima who made this event a success.